After each and every camper is swim tested by our aquatics director, our campers swim twice a week at Tottenville Pool. 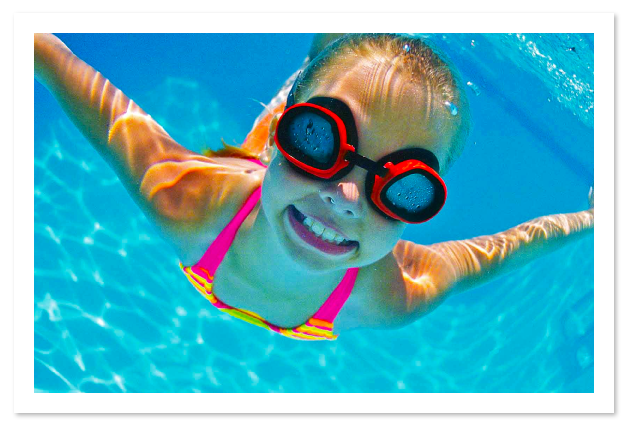 All of our campers are able to swim in the 3 and a half-foot pool and those who are not comfortable or too young will be able to relax in the facility's wading pool. This also gives them an opportunity to practice in a safe environment. We have 5 of our own lifeguards in addition to the lifeguards on-site, so our pool days are extremely safe and loads of summer fun for our campers. 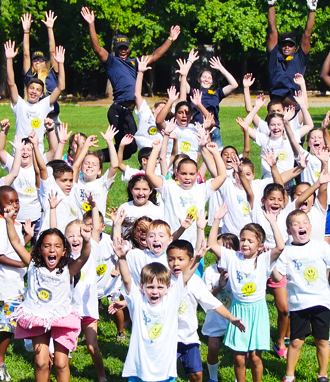 One of the best parts of having our Staten Island summer camp at Nansen Park is the ability to bring trips to us. 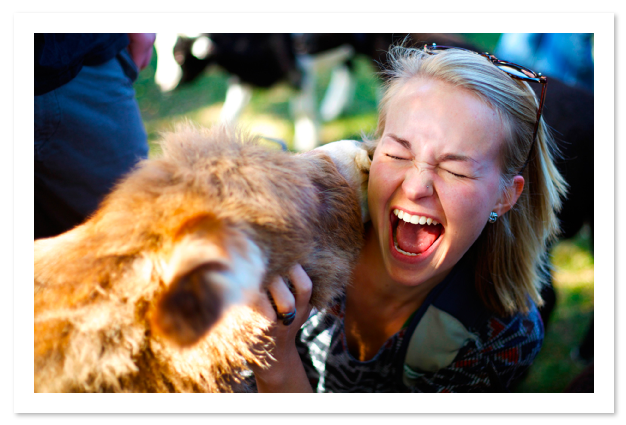 When the petting zoo comes to Young People's, it allows the children more time with the animals and less time traveling. The campers are able to interact and take pictures with exotic animals from all over the world. The experience is not only entertaining for our kids, but it's educational as well. 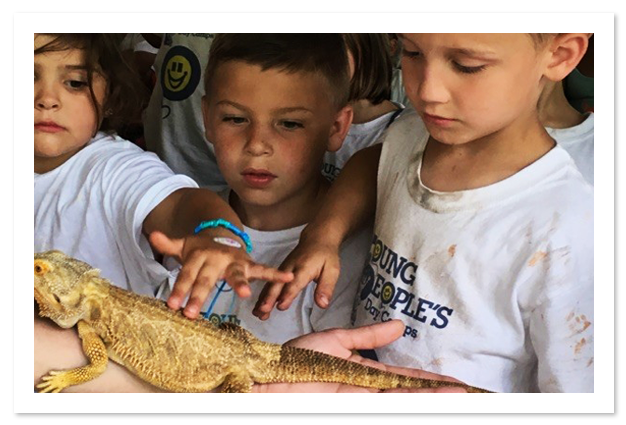 The campers learn facts about different reptiles, birds, and mammals during the show, while also safely interacting with the animals. 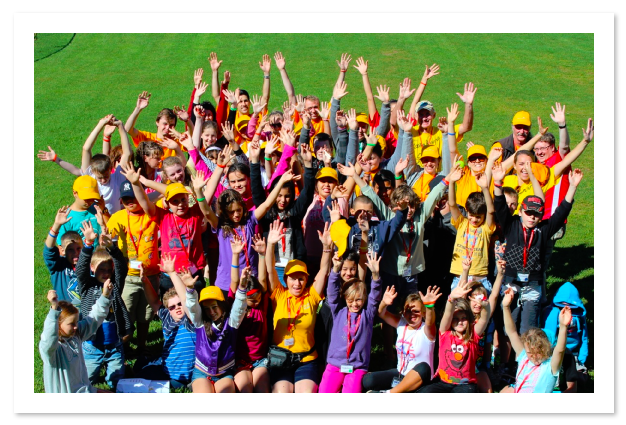 It is an extremely good time for our campers, and one of our more popular events. At YPDC's Staten Island camp, our campers go on several great trips throughout the camp season for maximum summer fun. Along with swimming twice a week, the campers will have one to two more days of trips each week. Here are just a few of them... We get to see the Somerset Patriots play baseball at TD Bank Park. The children also get to experience all of the sights and exhibits of the American Museum of Natural History. Every one of our campers, and our staff, thoroughly enjoys iPlay America, where they get to spend a hot summer day enjoying rides, video games and prizes. A complete list of trips and activities can be found on our schedule! Can you say "old school"? Well, we can! Because we had out first color wars game in many years at YPDC's Staten Island summer camp. Every group showed pride and camp spirit! They wore their colors and came ready for a great time. 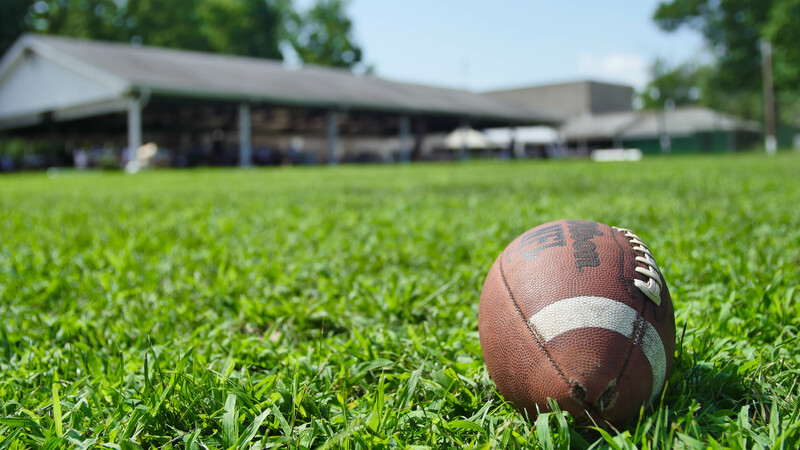 Campers competed in many time-tested events like relay races, egg and water balloon tosses, football throws, and puzzle solving competitions against each other. After a day of summer fun, the campers are treated to ices and prizes. At the end of the day it was all about bringing the camp together for a friendly competition between groups and providing some fantastic memories for the children. This event is certainly one for the ages! At the end of the year the families, friends and, of course, all our campers are invited to our Farewell Party at Young People's Staten Island camp. The campers begin learning and preparing from about the halfway point of the summer. This has become quite the tradition; the children and staff take pride in performing, not only for their families, but for the other groups as well. 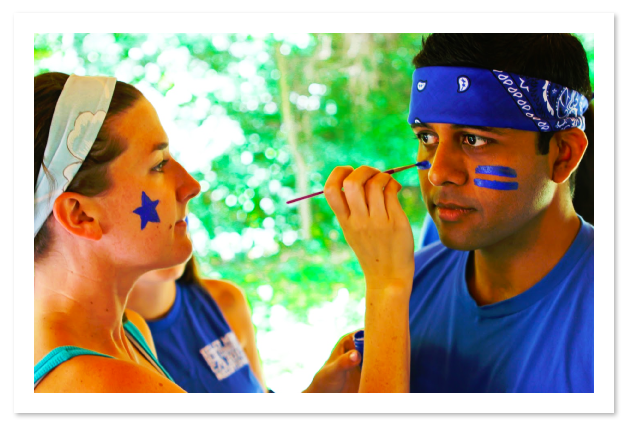 The counselors choose a theme and help the campers prepare for a show that gets better and better, year after year. Some of our more recent themes include The 80's, Disney and movie sound tracks!! Now more than ever, children need to play. With almost everything structured and organized some children are lacking the ability to play freely. At Young People's we do this almost daily. Our games are "old school" in the sense they are pick up in nature. Everything from softball, volleyball, basketball, touch football, kickball, to name a few. We also offer and complete many different craft projects. These can be door hangers, mirrors, face painting, necklaces, bracelets, tie-dye t-shirt day, and so on.